CropStop: HOP HOP!!!! Cropstop blog hopping! HOP HOP!!!! 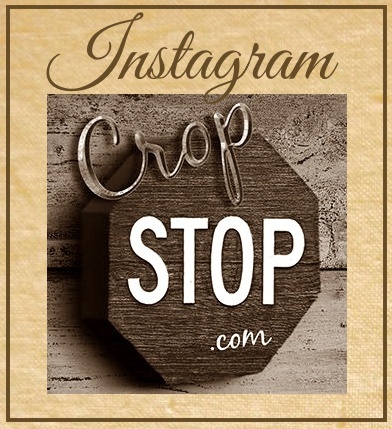 Cropstop blog hopping! 1. Sign up to follow our Crop Stop blog. If you use blogger you can do this by clicking the little link that says "FOLLOW THIS BLOG" it is right below the Subscribe and store link to the left side of the blog. 2. Subscribe to our Crop Stop blog. Just select to subscribe to the "Posts" by clicking on the "SUBSCRIBE TO CROPSTOP BLOG" link right below the store logo to the left side of the blog. I just subscribed to Cropstop blog and have left a comment on my blog. I'm off to check out the creative team blogs. Have left comments on all the creative members blogs! I've done it! Subscribed as a follower (will make keeping up with the challenges a bit quicker), left a comment on my blog and left comments on all the creative team members' blogs too. Phew! I need to sit down with cup of tea now! Can you please explain better how to use that coupon code and what does he $25.00 mean? I was just choosing some stuff to buy from your shop when I found this blog hop. So fun to look at your bloggs ladies! This is my first blog hop. What a cute idea!!! You've been followed! What fun! I'm off and running. hello from France! I suscribed to CropStop blog, and today I will leave a special message on my blog. Thank you for this blog hopping ! Just done it and am off to blog hop! #5-check, as I am typing this comment. Thanks for the chance to win and also for a chance to see what inspiration/ideas the DT has to share. Keep up all the good work to everyone at cropstop. I've signed up to follow and will now go to each members blog. I have completed 1 and 2 now off to do some of the others. I have posted that I was doing the Blog Hop ( a new kind of dance!! )on my blog and have visited each team member,Thanks again, I am off to create!! :) I just started following your blog! I was facinated at all the great ideas:) THanks for the invite! Well...I'm done hopping and leaving comments with the creative members. I'd never blogged before so hope all my comments went where I intended. I'm off to save 10%! Phew! I'm worn out by all that blog hopping! Some fantastic stuff by the DT members! I know I'm a bit late here, but I've finally posted the hopping info on my blog too! Check, check, check, check, and now the final check! I love teh idea of the Hop!! !